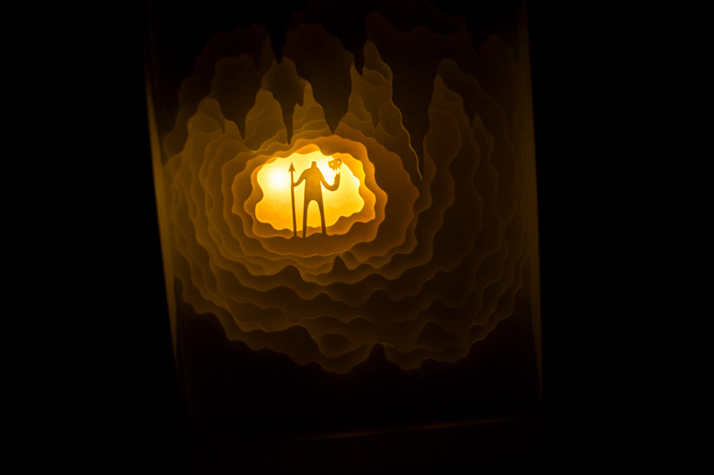 By artist couple Hari & Deepti. 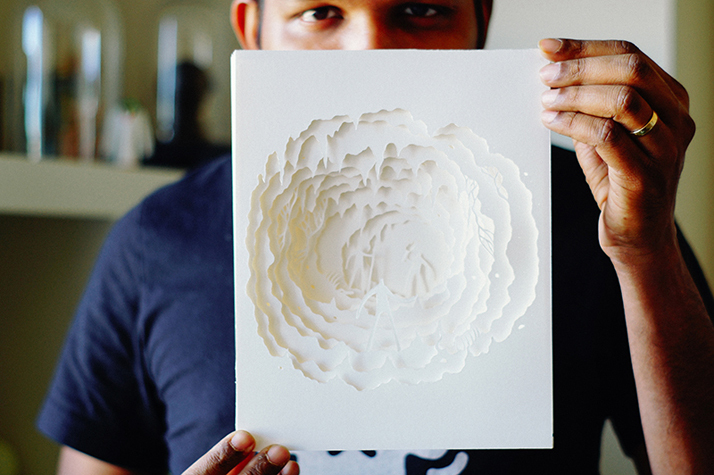 Hari & Deepti are an artist couple currently based out of Denver, Colorado. 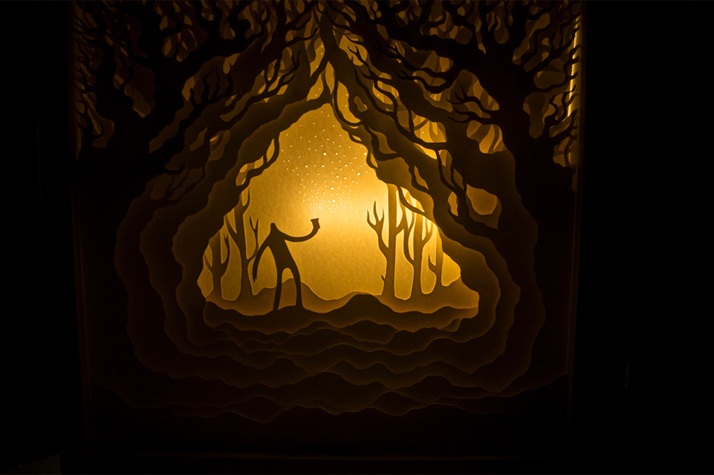 Hari (whose full name is Harikrishnan Panicker) is a trained graphic designer and illustrator. He was born and raised in Mumbai, India where he was the senior designer for MTV Networks India and has designed for brands like MTV India, VH1 India, Nickelodeon & Comedy Central. Apart from designing for these brands, he is also an established illustrator and has designed album covers for musicians like Dualist Inquiry and has been invited to design a cover for Rolling Stone India for their annual - Art as Cover Edition. He loves to collect and customize vinyl toys, is obsessed with drawing monsters, loves to screen print & secretly aspires to be in space some day. 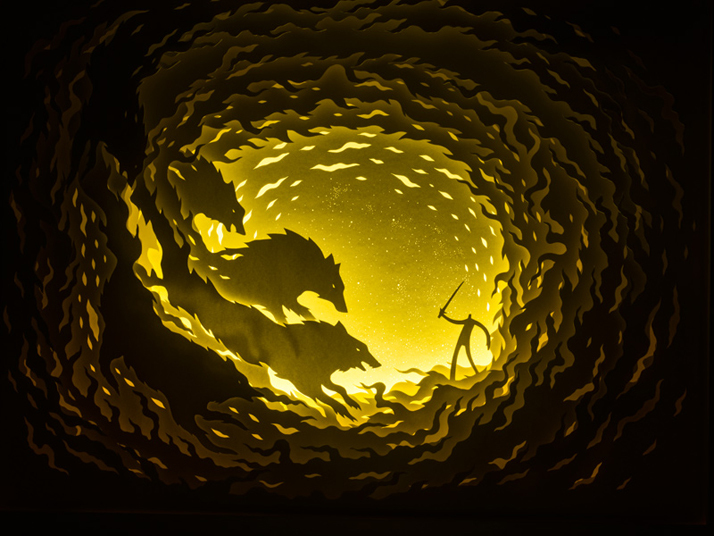 He fell in love with paper cut art after seeing Balinese shadow puppets and has since been experimenting with paper and light. Deepti Nair is a certified geek and is usually seen designing complex systems for a leading Telecom company as an Interaction Designer. 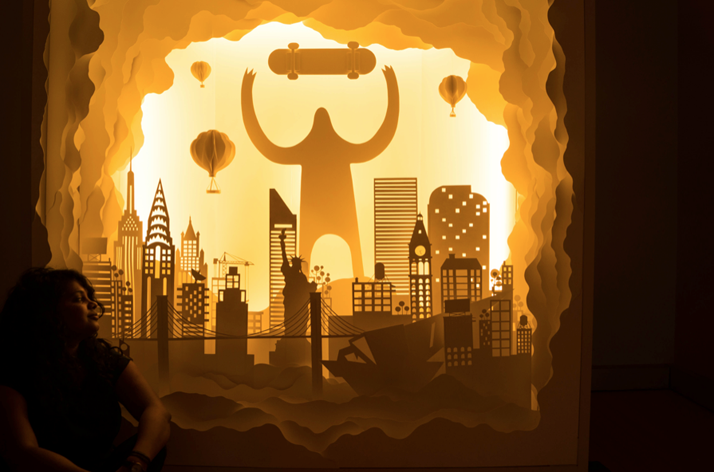 "My day job helps me keep sane and makes me appreciate the time and opportunity I get to create art a lot more" says Deepti. She is a trained artist and prefers staying away from the computer to create or assist in her art. 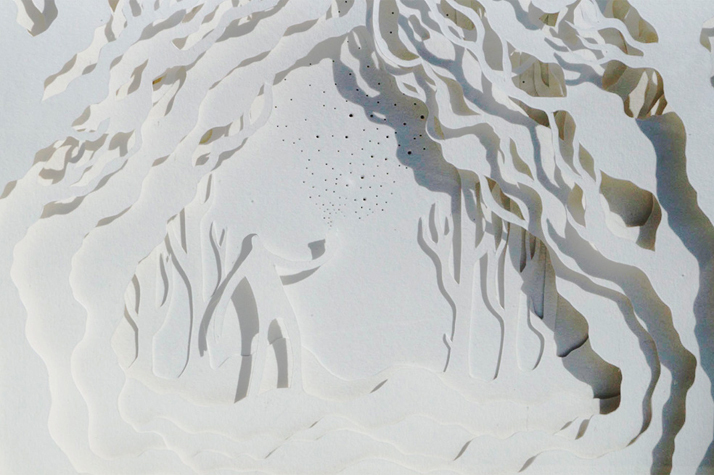 She believes that art has to be felt and experienced. 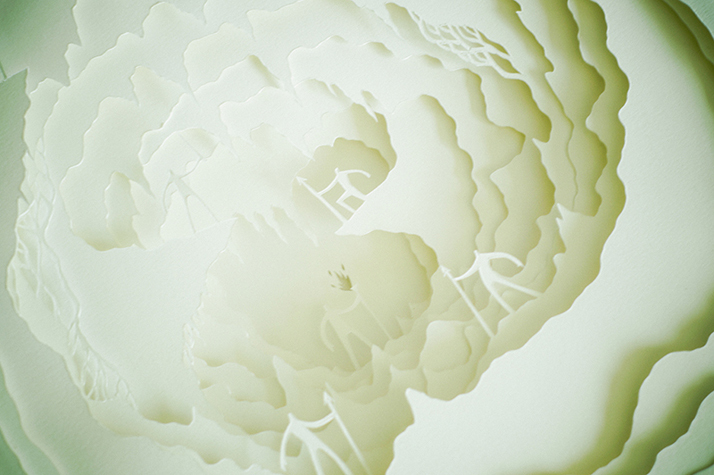 She specializes in working with paper cut, acrylic and loves sculpting with clay. 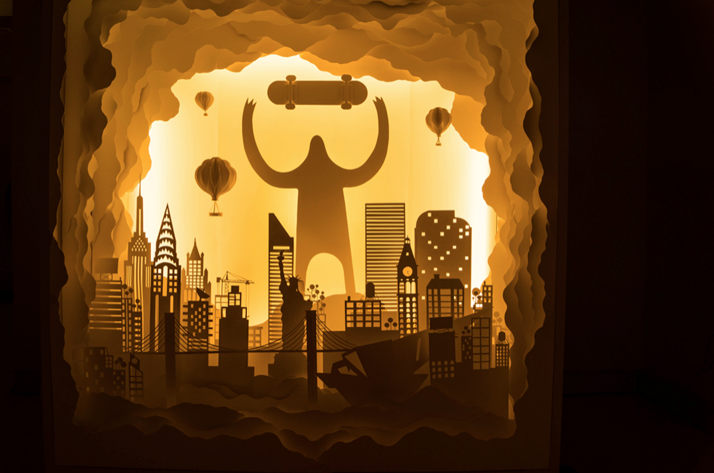 Hari & Deepti moved to Denver from India and carried with them a Pandora box full of stories and imagination that they bring to life through their intricate paper cut light boxes and paper clay sculptures. 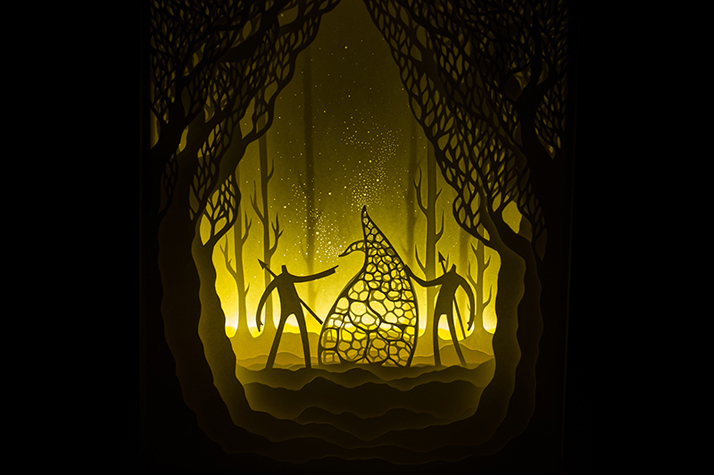 They have always been drawn towards the imaginative aspect of story telling and seek inspiration from them. 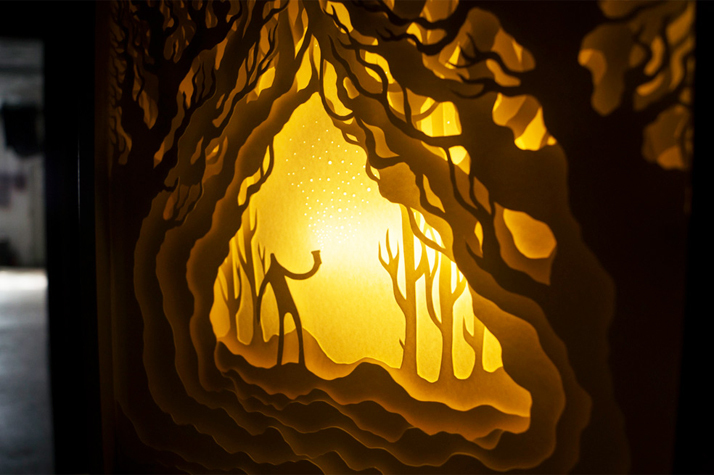 Stories have so many shades and depth in them, and paper as a medium has the exact qualities to reflect and interpret them. 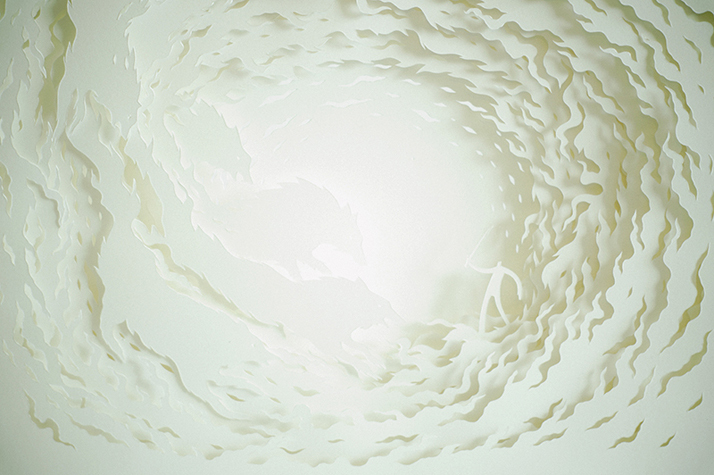 They believe that "Paper is brutal in its simplicity as a medium. 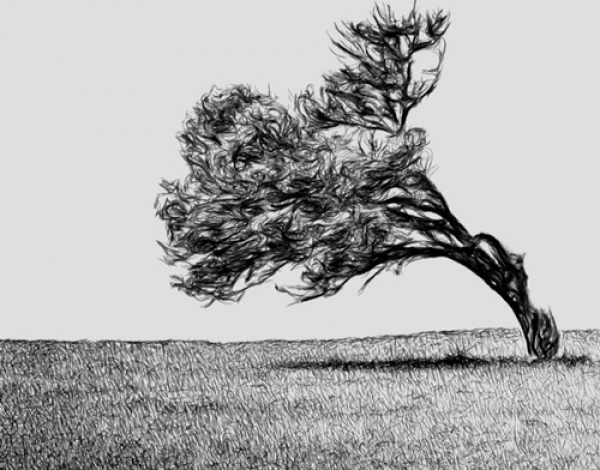 It demands the attention of the artist while it provides the softness they need to mold it in to something beautiful. It is playful, light, colorless and colorful. 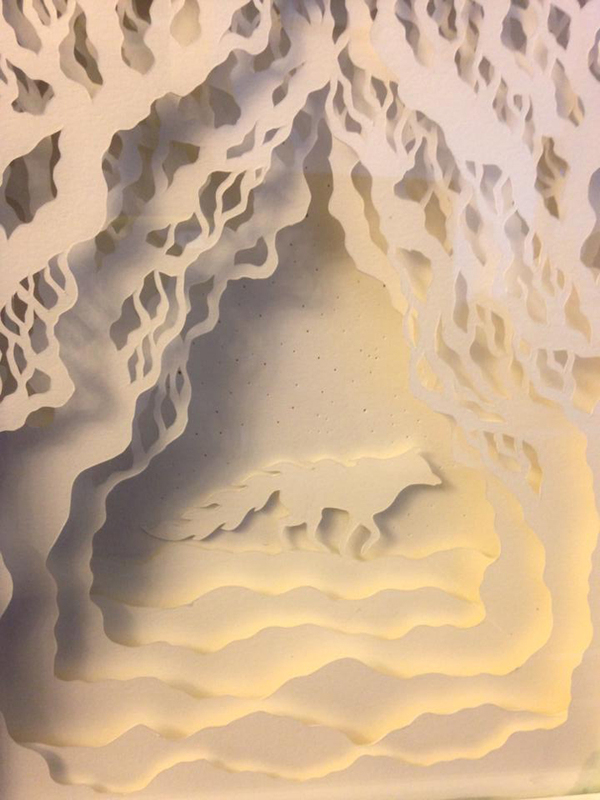 It is minimal and intricate. 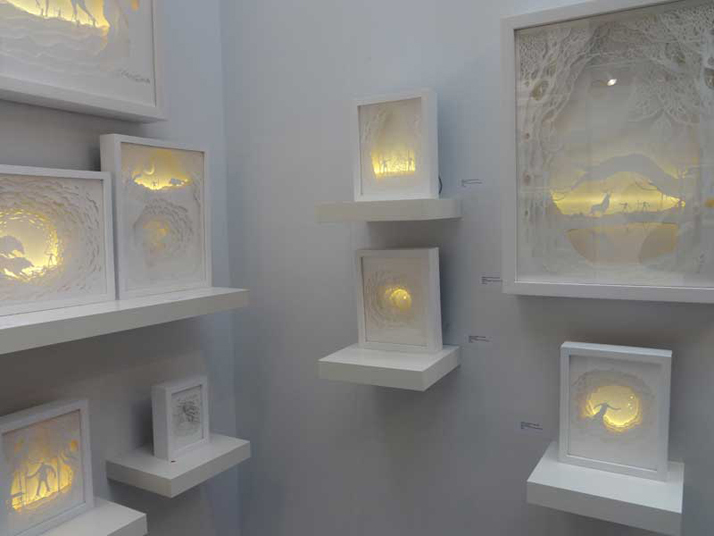 It reflects light, creates depth and illusions in a way that it takes the artist through a journey with limitless possibilities." 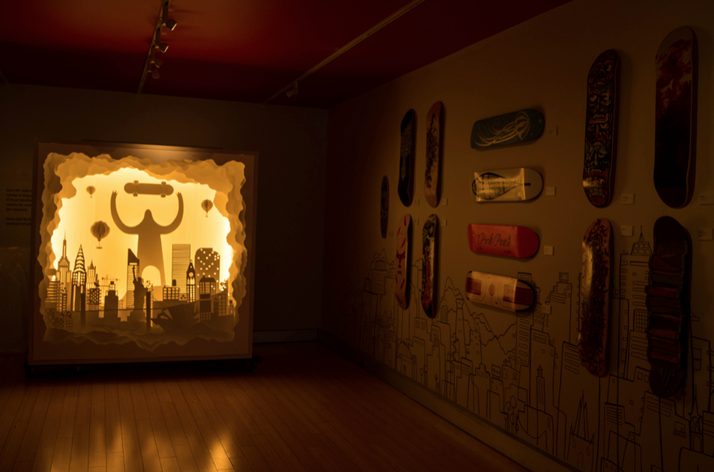 "What amazes us about the paper cut light boxes is the dichotomy of the piece in its lit and unlit state, the contrast is so stark that it has this mystical effect on the viewers." And they are constantly evolving their art with more complex representation of stories and aspect,s like reflections in the water.